The Golden Temple Amritsar India is also known as Sri Harimandir Sahib Amritsar. 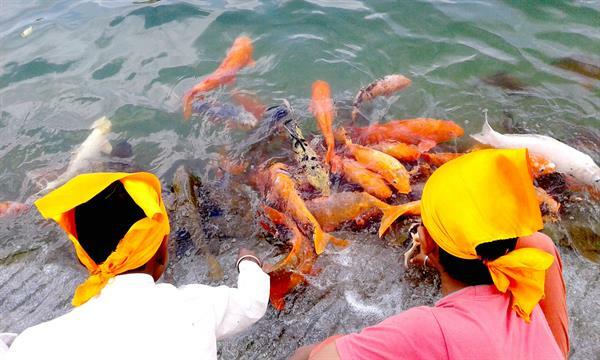 It is the glory and heritage of Sikhs. Everyone irrespective of cast, creed and race come to this holy place and pray. The place is very calm, like ones everybody wills to spend some time at least! The temple is made up of pure gold. The temple is very beautiful, art is amazing! Read this article and learn history, tourist information of Jallianwala Bagh and Golden Temple. Basically, in earlier times they used to call it the temple of Hari i.e. God which nowadays called Sri Harimandir Sahib or Sri Darbar Sahib. Later on account of its golden coating and beautiful appearance. 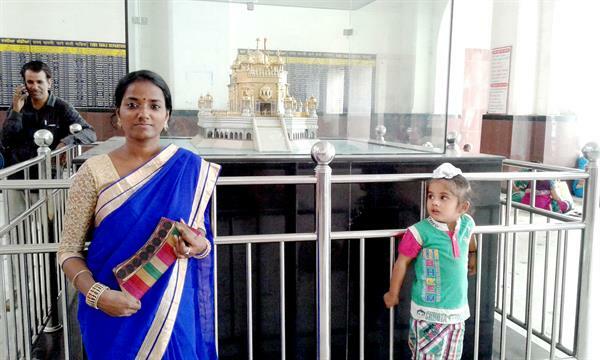 An innumerable number of people come daily to pay the visit to the temple of Shikhs at Sri Amritsar. Though it is the central religious place of Sikhs, but it is the symbol of human brotherhood where everyone is equal. I love that! It is said that the fifth Nanak Guru Arjan Sahib had discovered the idea of creating a central place of worship for the Sikhs. And He is the only person to design the architecture of the Sri Harimandir Sahib which is reknowned by the name of Golden temple today. The third Nanak Guru Amardas Sahib chose Amritsar and declared it the to be the holy tank which later was executed by the Guru Ramdas Sahib under supervision of Buddha Baba Ji. The land where the temple is situated, the total site was aquired by the ealier Guru Sahibs. The landlords of native villages made paypendt for the site. The construction work was started in 1570 which was completed in 1577 A.D.
On the top stands the low fluted dome having lotus petal motif in relief at the base inverted lotus at the top which supports the 'Kalash' having a beautiful 'Chhatri' at the end.The Golden Temple Amritsar India (Sri Harmandir Sahib Amritsar) has a unique Sikh architecture. Built at a level lower than the surrounding land level, The Gurudwara teaches the lesson of egalitarianism and humility. The four entrances of this holy shrine from all four directions, signify that people belonging to every walk of life are equally welcome. As advised by Sri Guru Amar Dass Ji (3rd Sikh Guru), Sri Guru Ram Dass Ji (4th Sikh Guru) started the digging of Amrit Sarovar (Holy Tank) of Sri Harmandir Sahib in 1577 A.D., which was later on brick-lined by Sri Guru Arjan Dev Ji (5th Sikh Guru) on December 15, 1588 and He also started the construction of Sri Harimandir Sahib. Sri Guru Granth Sahib (scripture of the Sikhs), after its compilation, was first installed at Sri Harimandir Sahib on August 16, 1604, A.D. A devout Sikh, Baba Budha Ji was appointed its first Head Priest. 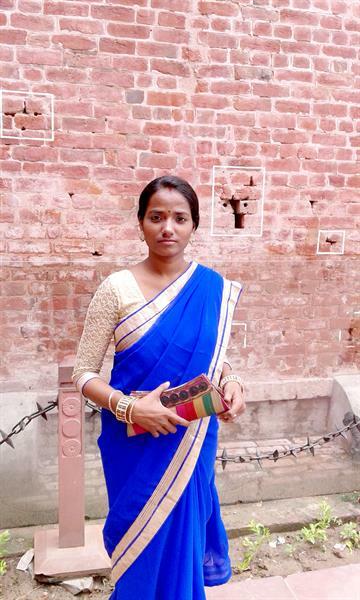 From there we went to Jallianwala Bagh. 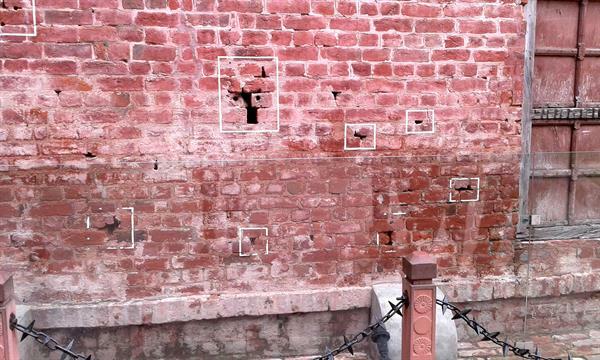 Jallianwala Bagh is the garden that belongs to Jalla. The name derived from the owners of that land in Sikh times. This place was uneven, unoccupied irregular shaped, indifferently walled, approximately 225 X 180 meters which were used more as a dumping ground. It was Sunday, 13th April 1919, the largest religious occasion of Punjab, 'Baisakhi', when 50 British Indian Army soldiers commanded by Brigadier-General Dyer, began shooting without any warning and showed their inhumanity! In the crowd, there were men, women, and children. According to Civil Dr. Williams DeeMeddy, there were 1526 casualties. But the Indian National Congress quoted more than 1500 casualties with roughly 1000 killed. As it was the holiday of 'Baisakhi' on 13th April, thousands of people including Hindu, Muslim and Sikhs gathered near Harimandir Sahib in the Jallianwala Bagh garden. The festival is special for Sikhs because their Guru Gobind Singh founded the Khalsa Panth in the year 1699 and so the day was known as the 'Birth of Khalsa' which was celebrated by them. That day also people gathered to celebrate and joined. Many were not even aware of the political meeting there. When General Dyer ordered the troops to begin the shooting without any warning or order to disperse, they were also ordered to shoot at the most dense sections of the crowd, it was continued to 1650 rounds approx. until it was almost exhausted. To escape from the direct shooting many jumped into the solitary well and many died at the narrow gates. 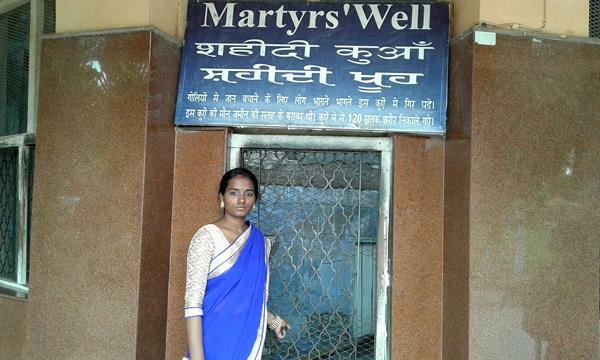 120 dead bodies were pulled out of the well after the independence...! I couldn't stop myself crying, how horrible it would have been! According to Pandit Madan Mohan Malaviya, who personally collected information to raise the issue in Central Legislative Council, over 1000 people were killed. The total estimated crowd was between 15000 to 20000 where Sikhs were large in proportion as it was their occasion. The Rabindranath Tagore showed protest by renunciation of the British Knighthood which broke out in the country and is exemplified. 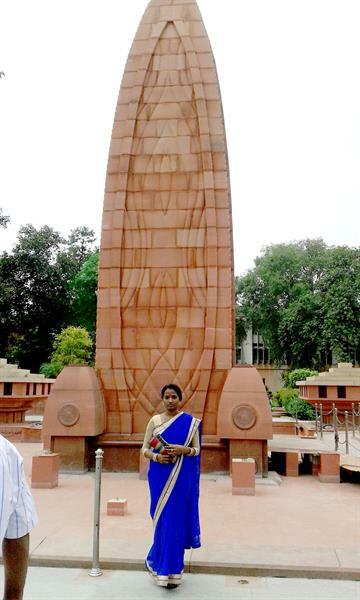 The Jallianwala Bagh became a national place of pilgrimage. On 1st August 1920 the Bagh was acquired by the nation at the cost of Rs. 5,60,472 though the construction of the memorial was postponed until Independence. The monument was named Flame of Liberty and was built at the cost of Rs. 9,25,000. It was inaugurated by the first president of India, Dr. Rajendra Prasad on 13th April 1961. Now when the terrorist do spread terror, kill people for whatever reason, how do you feel? Close your eyes, relax eyebrows, touch your heart and then ask yourself... Now think, if you would be in place of those people who went to celebrate the festival as the anniversary of the Khalsa, and all of a sudden the unimaginable incident happened..! Feeling helpless, sorry or angry? But on 13th April 1919, one Sikh teenager brought up at Khalsa Orphanage, named Udham Singh, who saw all the these happening by his own eyes, took revenge of the killing of those poor people by killing Michel O'Dwyer in Caxton Hall of London. Then? As usual, He was hanged at Pentonville jail of London on 31st July 1940. Being an intelligent species among the animals, being Humans, is this what we have learned so far? Why do people do these kinds of things? By killing a person one doesn't kill a man / woman, h/she kills a son, a brother, a husband, a father and above all we kill Humanity! None but we are responsible for the race, cast etc among us! Things that happen around us every now and then give us the proves every single moment. Right?What is that thing that leads us to do so, we have to find out and work on that. Many things are yet to do... We are not civilized as we are not real HUMAN yet.